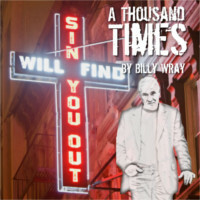 An audiobook version of Billy’s first novel, A Thousand Times, is now available on Audible.com. 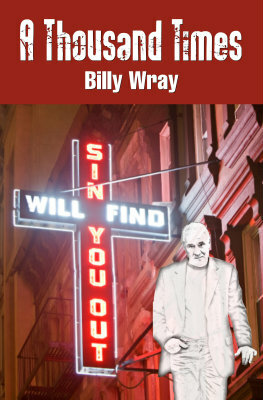 Billy’s son Lane Wray, a professional actor, read the book, and his friend Trace Ritter, professional musician and music producer, created the audio, giving a heartfelt reading of the book with flawless production. The Phantom of Penderlea is now available. We saw the motorcycles in front of the Wigwam a half-block away. There were four of them, and they were parked at the curb right at the front door. The riders had left their helmets strapped to the seats. All the places in front of Cowpokes were taken, so we pulled around to the side and parked. Junior was ready. It was all I could do to keep up with him as we crossed the street and went inside. You know I’m a smoker, but at first the smoke almost stifled me. At angles where there was artificial light in the background you could see it floating blue-gray all over the room. Then I saw Ben. 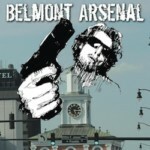 Click to download the chapter. The novel A Thousand Times — the story of a man’s climb from the depths of addiction as he searches for a murderer — is now available in print and ebook formats from Amazon.